This is Part II to the Epic Upper Body Workout that I started at the tail end of September when my good friend Chris came up to train. This is the Pulling Work we did. 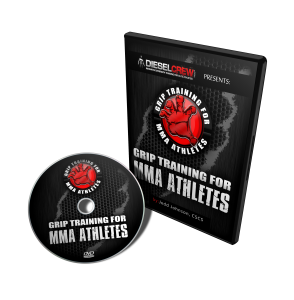 I wanted to show him some new stuff he add into his training to not only build muscle, but also to balance out his shoulder training, as well as be better prepared for physical altercations in his line of work as a Corrections Officer. This video shows several variations for Pull-ups that will not only build your back muscles, but will also balance your shoulder strength and build better grip strength. Having a strong set of hands is very important for Chris in his line of work as a Corrections Officer. We split these sets up with both wide and narrow rows. I showed Chris a correction to keep the emphasis on the lats and other big back muscles and to reduce the level of upper trap involvement. The set-up we used made the range of motion much shorter than normal, but this was because of the seat we used, due to my left lumbar area being very touchy. You can see once Chris adjusted, it began feeling totally different. The Inverted Row is a great exercise and it can be loaded with chains draped over the body to make it more difficult. On top of that, we also held the concentric for a 3-count pause. I also used some mental distraction tactics to mimic the sound of an alarm going off due to a prison riot. This may sound annoying, but it is something that would be real during an actual emergency in the jail. Since Chris occasionally runs into situations where an inmate will get physical, instead of loading the Hyperextensions with normal dumbbells or barbell plates, we bear-hugged sandbags and heavy bags. This feels much more like actually having to control an inmate than just gripping some weights. 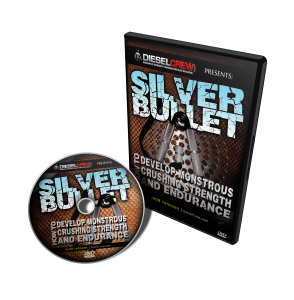 Get a FREE Strength Training Magazine When You Buy Any DVD. I still have several clips coming your way from this workout. Stay tuned in a couple days for the Arm Training that we did. My arms were blown up like water balloons after what we did. It was AWESOME. All the best in your training. 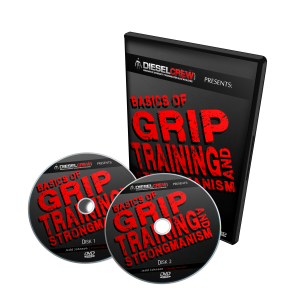 This entry was posted on Tuesday, October 8th, 2013 at 1:09 pm	and is filed under how to improve fitness and conditioning, how to improve grip strength, muscle-building-workouts, strength training muscle building workouts, strength training to improve athletic performance, strength training to prevent injury. You can follow any responses to this entry through the RSS 2.0 feed. Both comments and pings are currently closed.